Twenty Metro Transit officers sit in a classroom, carefully taking notes. They slowly try to pronounce every word instructor Ali Warsame says, from simple greetings like "hello" to more tricky phrases like "Show me your ticket" or "Put your hands where I can see them." 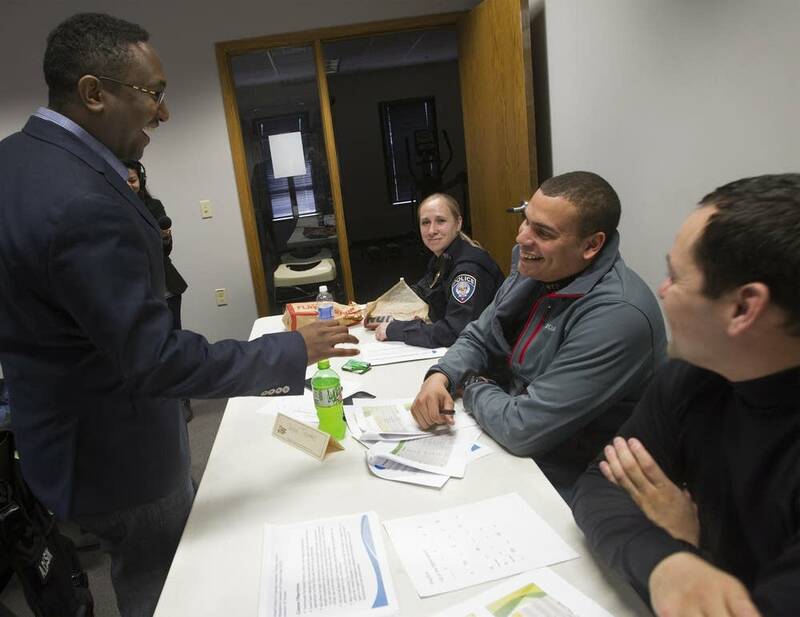 In late February, Metro Transit police began offering a Somali language class to some of its officers. The cops say they want to connect with the growing Somali community in the Twin Cities who ride buses and light rail. 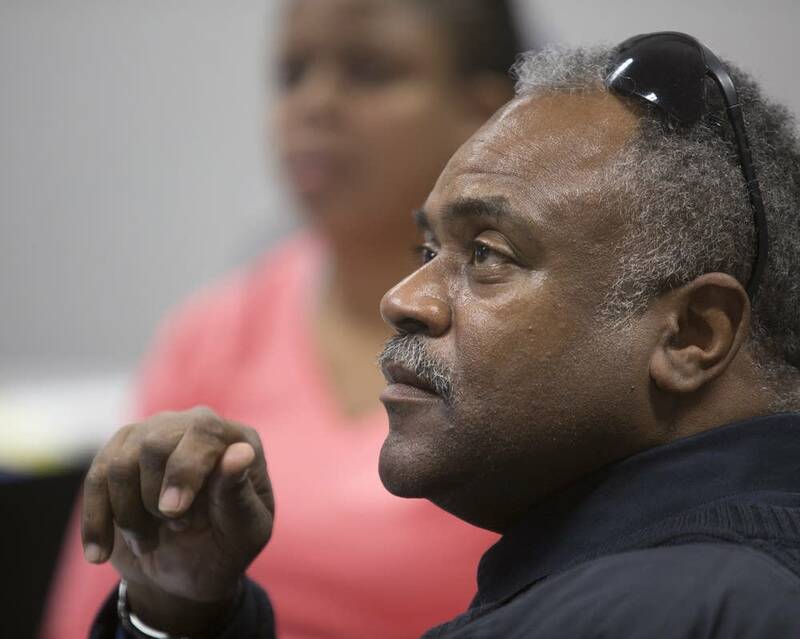 Metro Transit Police Chief John Harrington sat in the front row during a recent class and tried over and over to say, "How is the family?" "There are words there that my brain translates into an 'ee' when it's supposed to be an 'ah' and I keep thinking I'm supposed to roll my R's like I'm Scottish and it turns out I'm not. But Ali is very patient with us," Harrington said. Metro Transit Police now has five Somali officers who speak the language out of a force of 208 full- and part-time police officers in the department. The department also uses the services of Somali language interpreters. "When you have a Somali victim, you can't wait for a translator or wait for the language line to come online in order to get the description, you need to be able to get that information right away, otherwise the bad guy will get away," Harrington said. The class is only seven weeks long, so fluency is not the goal. 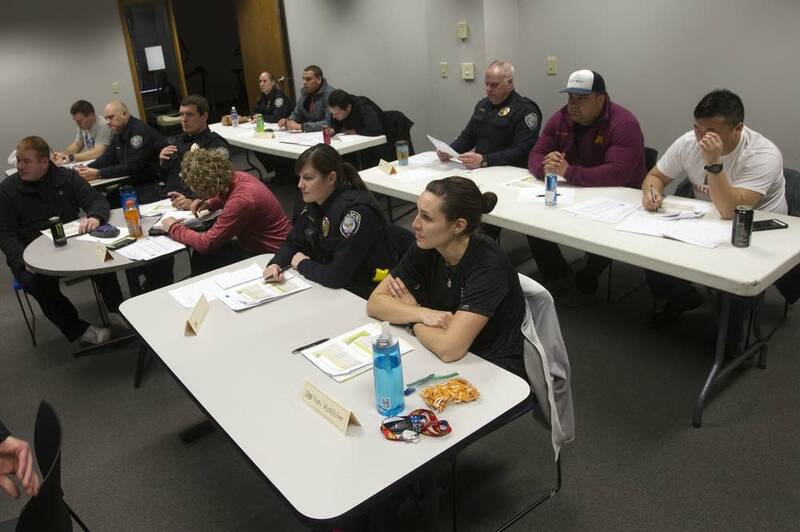 The idea behind the course — taught by Minneapolis Community and Technical College — is to make Metro Transit officers more understandable. 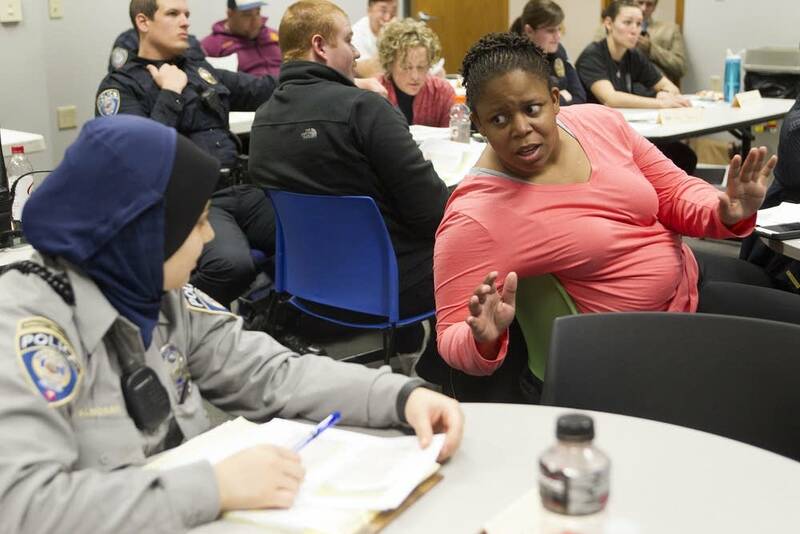 Metro Transit Police is one of several organizations to bring the training to their staff after Minneapolis Public Schools, St. Paul's Math and Science Academy, and Fairview Health Services. Dr. Aner Vlodaver sees Somali patients almost every day as a pediatrician at Fairview's Bloomington clinic. He brought the culture and language classes to clinics in Bloomington and south Minneapolis as a pilot project. Last summer, around two dozen physicians, nurses and clinic staff participated. He estimates 20 percent of the clinic's non-English speaking population is Somali. "In Somalia being thin is equated with being ill with having some kind of chronic disease that a child or an adult for that matter would have HIV, tuberculosis, might be suffering from famine," Vlodaver said. "Where here, being lean is actually considered healthy. So understanding that helps us relate better to our patients and understand where their concerns are coming from." It's still too early to tell whether knowing more of the language has helped patients become healthier. But Vlodaver says the clinic is tracking whether it can improve immunization rates or minimize no-shows. What he does know after initial feedback is patients feel more comfortable with the doctors. One of the first words Dr. Vlodaver learned in Somali was "stomach". "And I would check their stomach and say, 'I'm going to check your caloosha.' The kid would start giggling, the family would smile and they would say, 'caloosha, caloosha.' You know I'm relating to them." He used that word so much, a lot of the patients started calling him Dr. Caloosha. Then he thought he should start learning a few more words.